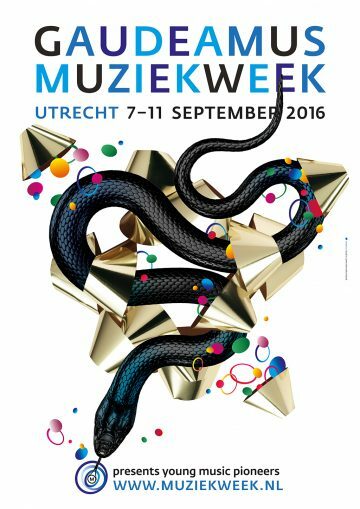 The 70th edition of Gaudeamus Muziekweek takes place from 7th to 11th September in various locations in Utrecht. 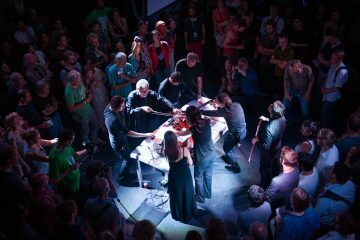 For five days the festival for young music pioneers presents unique concerts from classical crossover and minimal soundscapes, to new compositions with (live) electronics. Just like every year, the festival puts young and upcoming composers in the spotlight. The full festival program and tickets are available online. 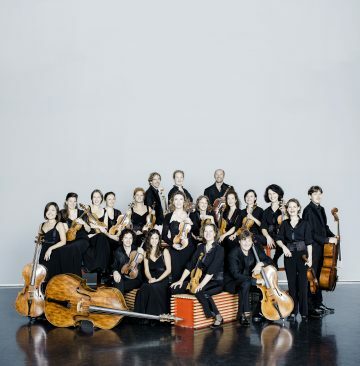 The festival opens with a double concert featuring Amsterdam Sinfonietta, Quatuor Bozzini, and Oerknal!. The hauntingly beautiful, Up-Close (2010), by award-winning composer Michel van der Aa will take center stage in the opening concert. The festival program is jam-packed with new compositions from Anna Korsun, Maxim Shalygin, Kate Moore, and many others. During every day of the festival new works will be premiered from young composers 30 years old and younger. The pieces will be performed by internationally acclaimed musicians and ensembles. Along with the concerts, there will be introductions by prominent music professionals, lectures, and courses. Conductor Bas Wiegers and pianist Ralph van Raat designed a listening course around their favorite works from the 21st century. In collaboration with Concertzender, there is a special hands-on workshop for children from 8 to 12 years old about making radio. Gaudeamus Muziekweek inspires new music and young talent each year by presenting the prestigious Gaudeamus Award to a young composer. The prize consists of a €5,000 commision for a new work. The nominees this year are James O’Callaghan, David Bird, Shih-Wei Lo, Giulio Colangelo, and Anthony Vine. The internationally renowned Gaudeamus Award has been in place since 1957 and has developed into a kickstart for the professional career of contemporary composers. Previous winners include Louis Andriessen, Unsuk Chin, and Michel van der Aa. 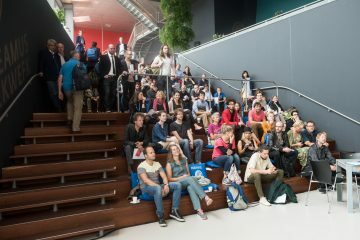 New this year is the Workshop Weekend organized as a part of the Gaudeamus Muziekweek Academy (1st to 7th September). On Saturday, September 3rd and Sunday, September 4th in Theater Kikker and Muziekhuis Utrecht various workshops and lectures will take place. The theme of the weekend is based around the combination of music and diverse media. The weekend culminates on Saturday evening with an interactive, multi-media, lecture/discussion with composer, Michel van der Aa. This years program includes: Oliver Coates, Amsterdam Sinfonietta, De Beren Gieren, Dario Calderone, Kapok, Vincent van Amsterdam, Ralph van Raat, Quatuor Bozzini, Katharina Gross, Slagwerk Den Haag, Silbersee, Egyptian Contemporary Music Ensemble, Oerknal!, Ensemble Modelo62, Michel van der Aa, Kate Moore, Peter Adriaansz, Pierre Jodlowski, Maxim Shalygin, Seung-Won Oh, Willem Jeths, Anna Korsun and many more. In total, Gaudeamus Muziekweek presents 25 concerts over the course of 5 days, along with 4 sound installations, 3 introductions, 4 lectures, 1 listening course, and 1 seminar. The Academy Workshop Weekend is held on the September 3rd and 4th.